It is crucial that funding is secured for Rugby Parkway Station as soon as possible – the council agreed at a meeting last week. But portfolio holder for growth and investment, Cllr Sebastian Lowe, said the rest of the town’s infrastructure must also be considered. Work on the Rugby Parkway Railway Station in Hillmorton was set to begin in May this year, but funding issues meant the project hit the buffers. 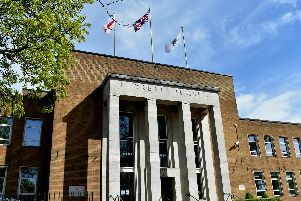 At the Rugby Borough Council meeting last Thursday, September 27, Labour councillors Maggie O’Rourke and Claire Edwards put forward a motion calling on council leader Michael Stokes to make ‘urgent representations’ to the Department for Transport to secure funding for the station. Councillors Sebastian Lowe and Peter Butlin seconded an amendment to the motion.